The sales of Android do not seem to be stopping at all despite all the patent war and bans that are being imposed on it in different parts of world. On the other hand, the sales have registered a 7% increase in one month alone. 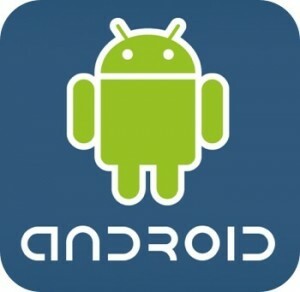 As per reports, Android has recorded this increase in the month ranging from June to July. The new reports solidifies the stand that and hold that Android has had on the market in the past year. This is consecutively the eighth month in which Android has shown a marked increase and the highest growth percentage as well. In the past year, the growth of Android has been massive. Companies that use Android technology to power their devices such as Samsung, LG and HTC have shown a marked improvement. The best growth figures were of Samsung that registered more than 350% percent increase, largely owing to its Galaxy range of tablets and smart phones. The Galaxy range runs on android technology, Samsung has also released previews of two new Galaxy phones, Galaxy Y and Galaxy Y Pro, as was reported in the news yesterday. These phones are meant for the youth and young professionals and are powered by android. The growth of Samsung has been so good that it overtook Nokia, which has helped the top position in smart phones for the past nine years. Although the top seller now is Apple, Samsung follows at a close second and the growth is largely owing to the use of Android. Apart from Samsung, other companies have also registered decent growth percentage. According to the latest report, the operating system of Apple smart phones, iOS, have registered a fall of six points. The other company that registered a fall was RIM, although the fall is only one point. RIM has recently launched new BlackBerry models. However, they have not managed to garner enthusiastic response. The fallen points of these companies have added to Google Android’s 7% increase. Nevertheless, in sale figures, Apple is still the highest selling phone product. Second in place, for the month of June-July is Samsung, followed by Research in Motion, HTC and in the fifth place is Motorola. The sale figures have been consistent from the last month and so has been the rate of growth. While Apple remains the largest lesser, Android has taken the top spot for highest growth percentage. With the acquisition of Motorola, the future of Android has to be watched out for.